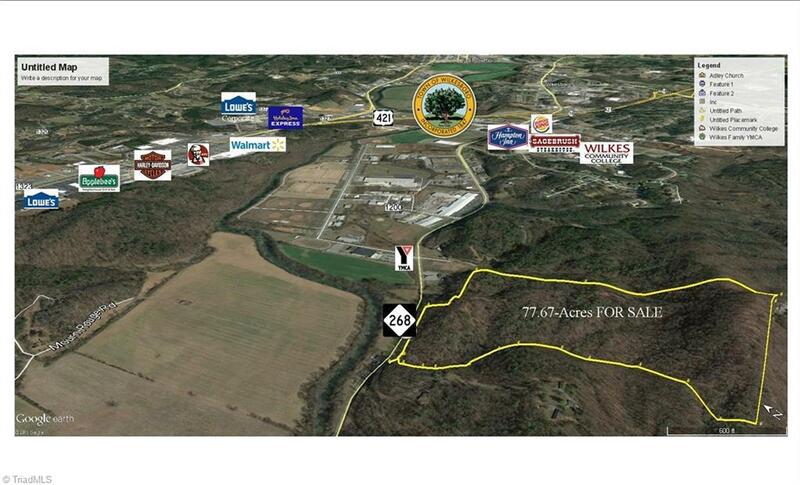 Large acreage located within the ETJ of Wilkesboro, NC. Property includes Owens Knob at 1,500' above sea level. Great views of Blue Ridge Mountains, the Wilkesboros, and the Yadkin River Valley. Over 800' of paved road frontage. City water and natural gas. City sewer can be requested. Multiple building sites. Nice stream. Many trails can be ridden by ATV's, UTV's, and dirt bikes. Plenty of deer. Moderate timber. Select cut around 12-years ago. Within minutes of shopping, dining, and US Highway 421.